Summary This practical experiments aims to design and integrate a solar pv system in an innovative energy system with heat pumps and cold/heat storage. 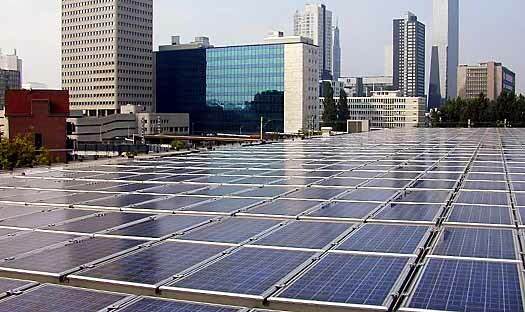 The solar pv system on the building of the Gemeentearchief Rotterdam, with a 1840-m² surface and a total power of 175 kWp, provides for almost all of building’s need for electricity. The grid-connected solar panels provide the electricity to the grid all year long. The panels are cooled by air, causing a decrease in module temperature with 3 degrees centigrade and a slight increase in cell efficiency. Following, the heat is stored in the ground, which improves the functioning of the thermal system. Because of this, the building will almost become a zero-energy building. The project also tests whether the possible reflection (flickering) of the solar panels stays on an acceptable level for the residents of a nearby high-rise apartment building.